UP Police Recruitment 2019 - Below are various recruitment notifications published by Uttar Pradesh Police / uppolice.gov.in. As of now, we don't have any active recruitment notification by UP Police featured here. We may update as soon as the organization announces a new job notification. 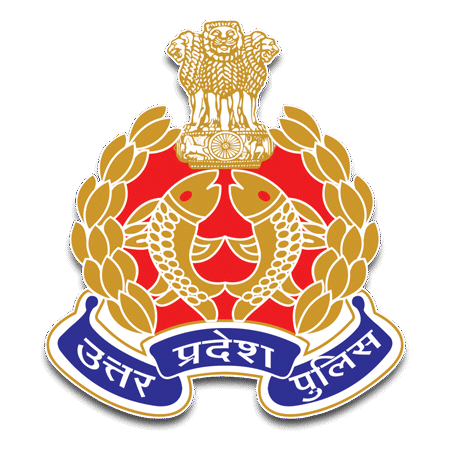 If you are looking for any information related to previously organized recruitment drives by UP Police, you can browse through previous job notifications mentioned below and get the new updates or information you are looking for. UP Police Recruitment 2019 - Apply Online for 2065 Fireman Posts in UP Police, Uttar Pradesh on Direct Recruitment. Online Applications are invited by Uttar Pradesh Police from 22 Jan 2019 10 AM to 09 Feb 2019 11:55 PM (Extended till 19 Feb 2019 11:55 PM) for 2065 vacancies. UP Police Recruitment 2018 - Apply Online for 49568 Constable Civil Police & Constable in Pradeshik Armed Constabulary (PAC) Posts in UP Police, Uttar Pradesh on Direct Recruitment. Online Applications are invited by Uttar Pradesh Police from 19 Nov 2018 to 08 Dec 2018 for 49568 vacancies. UP Police Recruitment 2019 - Apply Online for 102 Constable Horse Rider Posts in UP Police, Uttar Pradesh on Direct Recruitment. Online Applications are invited by Uttar Pradesh Police from 22 Jan 2019 10 AM to 9 Feb 2019 11:55 PM for 102 vacancies. UP Police Recruitment 2019 - Apply Online for 3638 Jail Warder Posts in UP Police, Uttar Pradesh. Online Applications are invited by Uttar Pradesh Police from 22 Jan 2019 10:00 AM to 09 Feb 2019 11:55 PM (Extended till 19 Feb 2019 11:55 PM) for 3638 vacancies. UP Police Recruitment 2018 - Apply Online for 1679 Fireman Posts in UP Police, Uttar Pradesh on Direct Recruitment. Online Applications are invited by Uttar Pradesh Police from 08 Dec 2018 to 28 Dec 2018 for 1679 vacancies. UP Police Recruitment 2018 - Job notification for 62 Sandesh Vahak Posts in UP Police, Uttar Pradesh on Direct Recruitment. Applications are invited by Uttar Pradesh Police on or before 16 Aug 2018 till 05:00 PM for 62 vacancies. UP Police Recruitment 2018 - Apply Online for 41520 Constable Civil Police and Constable in Reserved Territorial Armed Posts in Uttar Pradesh on Direct Recruitment. Online Applications are invited by Uttar Pradesh Police from 22 Jan 2018 to 22 Feb 2018 for 41520 vacancies. Uttar Pradesh Police has announced that the Constable exams are likely to be held on 9th Apr 2018 & 10th Apr 2018. UP Police Recruitment 2017 - Latest job notification for Computer Operator Grade 'A' - 666 Posts. Applications are invited by Uttar Pradesh Police before 15 Jun 2017 for 666 vacancies.